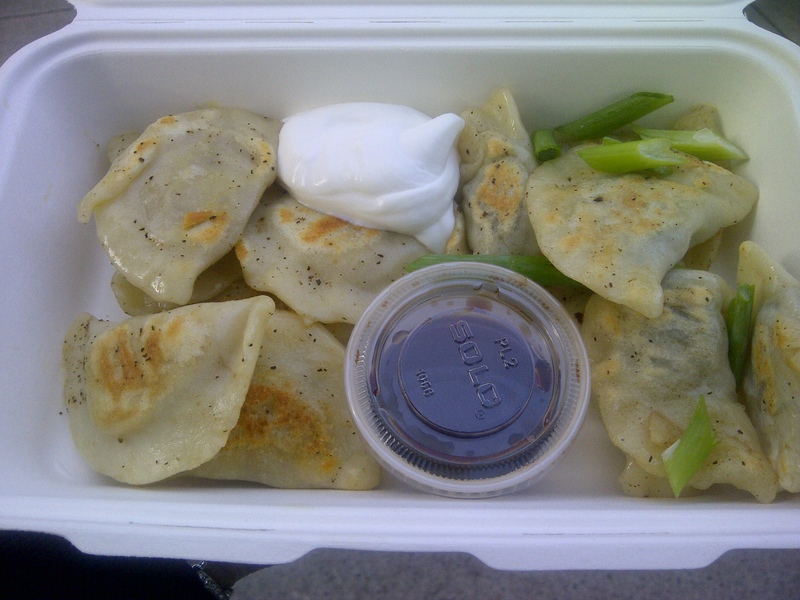 One might say it’s a bad thing when you leave your tasty beverage at the bar to go get perogies. Well, dear readers…I did exactly that last week. 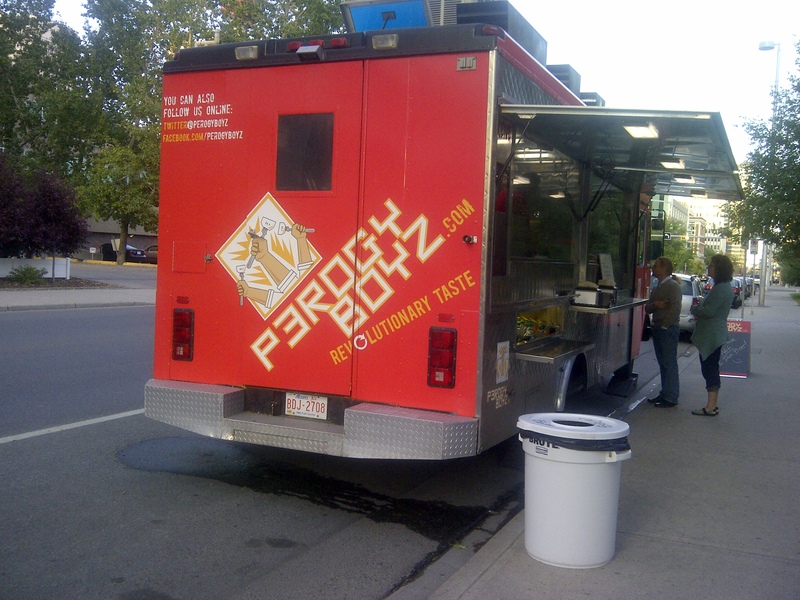 I left my drink last Friday night to go in search of the Perogy Boyz food truck that was rumoured to be only three blocks away from my favorite watering hole. Grabbing my wallet and trying to slip out the door unnoticed, a couple of friends see me make a beeline and decide to tag along. The line is so short. We made it only a few short minutes after they opened. Look, the line up is short! Can we say delicious? I ordered the sauerkraut and onion, and also an order of duck with Saskatoon berry. Both were fantastic, although I have to admit that I prefer the duck ones. And even though they were super tasty, I would have to say that homemade with a ukrainian mom/Bubba would probably make it a little more authentic. Since I have neither, and I’m not even close to being ukrainian, these will definitely do. 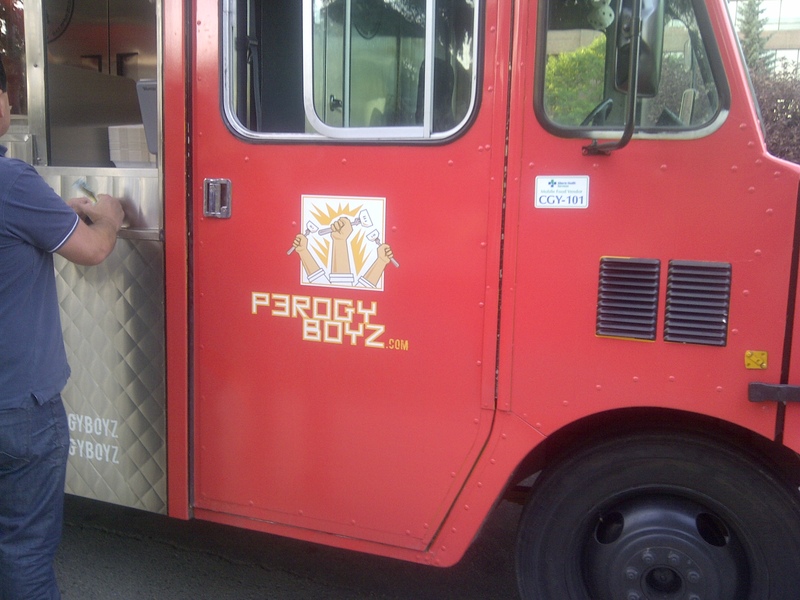 I hear that Perogy Boyz also make a carrot cake version. Ohhhh baby! Can we say Dessert? Will have to keep my eyes peeled for that one. To be totally honest, I was quite shocked that one of my buddies finished off his order before we walked the three blocks back to the bar. He positively inhaled his perogies. Do you think it’s safe to say that he liked it?